Welcome to the e-Unstuck and on Target Program, an interactive e-­learning course for parents to support executive functioning and behavior regulation in children with Autism Spectrum Disorder. The dynamic e-learning platform systematically intermixes didactic instruction (for introduction, definition, and description of concepts) with hands-on interactive exercises (for exploration of, practice with, and application of learned concepts). 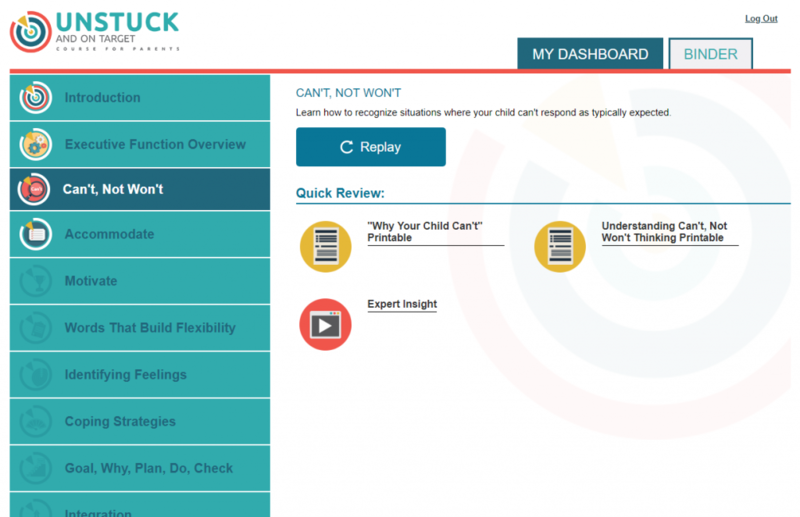 e-Unstuck and on Target Program works with the parent book: Solving Executive Function Challenges and school intervention program Unstuck and On Target! 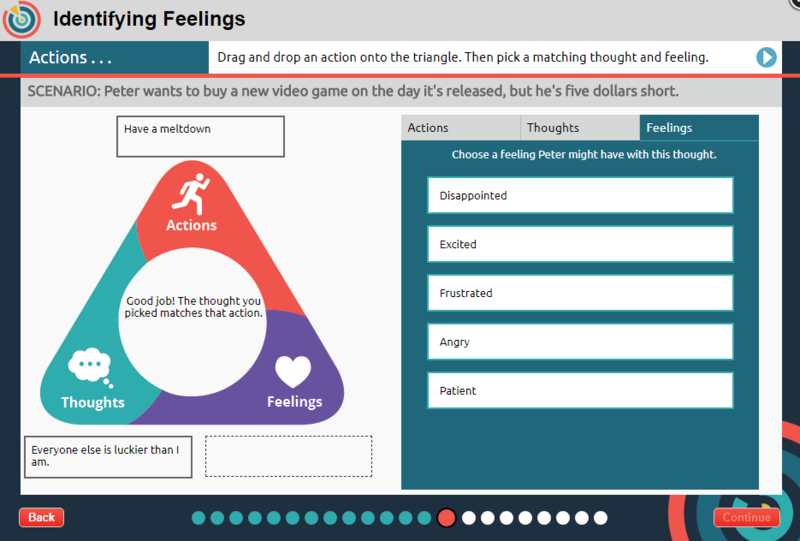 Unstuck consists of 10 different modules, each of which teaches a different skill such as building and flexibility, identifying feelings, and coping with triggers. In addition to didactic elements, each lesson includes interactive activities, quizzes, and games, giving participants opportunities to test out what they have just learned. Finally, activities provide structured ways to visualize and plan for how these skills can be applied to help maintain a healthy, positive lifestyle.